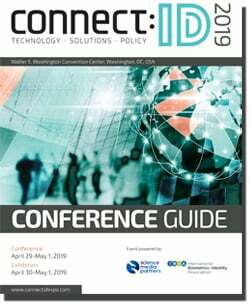 The connect:ID conference is an in-depth, interactive exploration of next-generation identity solutions. It brings together identity technology innovators, industry disruptors and solutions providers with thought leaders and policy makers for three days of learning, analysis and insightful debate. Download our conference brochure for more information. One conference pass gives access to all conference sessions. Knowledge Exchange sessions are open to both conference and exhibition pass holders. Join the Administrator of the US Transport Security Administration (TSA) and the Commissioner of US Customs and Border Protection for an exclusive fireside chat, to outline plans for future collaboration on secure and seamless travel. The volume of data held on citizens is increasing at an almost overwhelming rate, with greater variety and higher velocity. Many data-sets have become so vast that traditional data processing software is rendered simply unable to manage them. This session will demonstrate the trends and possibilities for cloud computing, machine learning, blockchain and other disruptive technologies in unleashing the true value of the data held by public sector organizations and delivering practical improvements to the services made available to millions of citizens. The first step in establishing an identity framework is to verify that you are dealing with a unique identity, who really is who they say they are. While solutions such as Knowledge-Based Verification can be helpful, they can also be a target of attack for adversaries. To make matters worse, a changing consumer landscape has led to the adoption of remote account opening, creating a critical vulnerability to fraud. This panel will shine a light on a range of identity proofing solutions, hoping to establish trust in their customers, right from the word go. Self-sovereign identity models offer the opportunity to redefine how identity is managed in the digital world, offering protection from centralized control and placing identity assets back under the ownership of the individual. This session will not only look at a variety of blockchains underpinning self-sovereign solutions, but also consider their real-life use cases across a range of applications. Interoperable, changeable and unable to be revoked; discover the impact self-sovereign identities can have, in offering a new architecture for secure interaction in the real-world. The discussion around personal privacy is becoming increasingly urgent as growing applications for biometric identification proliferate driven by convenience, security and, ironically, a quest for privacy in the digital age. In ways that exhibit the ‘Rashomon Effect’, even close observers of privacy differ in their perceptions of what the concept means and how associated laws should be shaped. As in the classic movie Rashomon Effect, a greater truth will be revealed through this session, as you, the audience, assimilate our panelist’s differing perspectives on Privacy. Breached identity data is an increasingly valuable tool for an attacker. In the wrong hands, collections of breached records can have a devastating impact on individual, enterprise and national security. Technologies such as biometrics, can go some way to prevent this, but continual innovation in presentation-attack detection is crucial as fraudsters find new methods to evade detection. This session will consider how identities are being stolen, who are the most likely victims, and how can we better protect against evolving threats. In the process of developing innovative biometric systems, it has always been critical for technologies to undergo testing and evaluation, to ensure standards are met, high performance is achieved, and interoperability established. This session will aim not only to give an insight into the latest testing initiatives, but also uncover their practical implications. How do the results of biometric testing create visible progress in the real world? What is the impact of testing on those working to establish reliable biometric systems across government and commercial markets? Recent years have demonstrated an international trend towards building expansive, high-performance biometric databases. Many countries are modernizing their existing identity databases by replacing antiquated IT systems and extending multimodal capabilities. The resulting data collections will have enormous power, but there are several important considerations which must be take into account. How should quality thresholds be set? How will the data be stored? How can interoperability be facilitated? And what is the potential for future expansion? From curb to gate – or even reservation to destination – time-conscious passengers are expecting an ever-more seamless and secure experience when traveling. With the number of international journeys expected to grow by 50% by 2030, emerging identity concepts – from distributed ledger and machine learning, to biometrics and mobile – offer tremendous potential to alleviate passenger congestion and strengthen security screening. Discover the ambitious projects and innovative technologies transforming the future of global travel. In a world where authentication of identity increasingly incorporates digital and mobile domains, it is easy to forget how “gold standard” government credentials underpin much of the identity ecosystem. There is a continual battle between secure document designers and fraudsters, who seek to exploit any design or document lifecycle weaknesses. This session considers the significant challenges facing document issuers. How can recent fraud cases inform future decision making, and what other factors will ensure credentials which stand the test of time? Our Roundtable session will feature targeted discussion groups, focused on a particular topic and directed by a central table host who will guide the conversation and facilitate questions and answers from the participants. The emphasis is on lively discussion and knowledge exchange among the delegates sharing the table - swap stories, ask questions, gain a better understanding and make valuable contacts. Then put it all into practice back in your department or agency. Agencies and Governments tasked with securing identity at the border face a complex and costly challenge in an ever-changing and increasingly digital world. Facilitating travel, protecting human rights, preventing criminal inflow and managing population movement are crucial aspects of modern border strategy. This session will explore how developments such as biometric entry/exit, eGates, advanced passenger screening, digital identity initiatives and other innovations, will play a key role in working towards a future with stronger and smarter borders. As healthcare providers embrace electronic medical records, the sector struggles to effectively manage identities and ensure privacy protection for patients. Verified health identities are essential in making the goal of integrated care a reality. This challenge is not insurmountable – technological solutions such as Blockchain and Biometrics already exist. The question is, how can organizations embrace these technologies, for the benefit of increasing security, reducing costs, driving integration and enabling patients to take control of their identities. Urban environments are growing increasingly connected, as the practical elements of city life come online and infrastructure becomes driven by the internet of things. Disruptive technologies such as biometrics, AI and blockchain are sure to play a role in identity verification, as we go about our business in the Smart Cities of the future. With many cities around the world now trialing or implementing smart technologies, considerations of privacy and security can no longer be ignored. How can citizens retain a right to Privacy, while their data is collected from all around them? Secure document advances in the traveller ecosystem Despite the traveler ecosystem becoming more digital and reliant on technologies such as biometrics, the fact remains that international travel is virtually impossible without a government-issued credential. While secure documents are more advanced than ever before, the potential to cross borders with fraudulent documentation continues to present a threat. This session will consider the advances needed for both secure credentials and associated documents readers and asks how they will fit into ever-more digital visions for future traveler authentication. Financial technology start-ups have been working to break the hold traditional banks have on the financial services industry. Unencumbered by legacy and with an infrastructure built for digital, FinTechs are uniquely placed to accelerate disruptive innovation. Through the application of biometrics, digital identity and other emerging technologies, challenger banks have addressed consumer identity needs with automation. This session will explore some of these projects and ask whether collaboration between banks and FinTechs may be the best path for the future. Every day our world becomes more mobile. Societies will soon be reshaped for a generation of adults who will never have known life before the smartphone. If leveraged properly, mobile technology can have a significant impact on the development of identity solutions. Relatively cheap to install, biometric technology is now present on most mobile devices, available to be utilised for authentication across financial and e-commerce markets. With the onset of 5G on the horizon, how will the universality of mobile networks facilitate the proliferation of reliable digital identity for the future? Law enforcement has long been seen as the birthplace of biometrics, but recent innovation has drastically expanded the capacity of biometrics to enhance public safety. Cloud based, and mobile solutions are now aiding the identification of offenders directly in the field. Technological improvements in facial recognition allow for automated surveillance of crowded areas, capable of detecting suspects even from a great distance. This session will look at the opportunities and challenges for various agents using next-generation identification solutions for public security purposes. The process of authentication must be re-imagined in the digital age - it is clear that passwords and PINs are no longer the best solution. A wave of payment innovations are changing how consumers confirm their identity online, while new frictionless approaches to authentication, offer both improved security and better customer experience, a balance usually difficult to achieve. In this session, discover how cutting-edge innovations in mobile biometrics, geolocation, risk-based authentication, trusted digital ID and AI are transforming the meaning of robust authentication. Several initiatives are currently underway across the globe to introduce a Mobile Driving License (mDL) - from proof-of-concepts, to trials, to successful state/nationwide rollouts of the technology. This session will answer all the key questions surrounding these developments: What are the interests expressed by key stakeholders? How can we enable interoperability and trust in the technology? How will the mDL disrupt transactions in banking, law enforcement and travel? Discover the latest technology set to radically alter authentication in the modern world. With more and more of our daily lives set to migrate online, there are clear benefits for governments to provide effective digital identity solutions for their citizens. Such solutions can open doors to efficient and secure, online voter registration, document applications and access to many more government services. There are of course challenges to be faced, but this session will bring together a range of participants involved in successfully providing national digital identity systems. Discover how secure online services can empower citizens and build a connected society. Next-generation digital technologies hold the key to revolutionizing how retailers engage with customer identity. Machine learning and digital identity can enhance online shopping experience, while gait and facial recognition can provide real time-identification of customers in store, enabling rapid service and enhanced security. The data collected from the use of these technologies would provide retailers with key information to generate future sales. Of course, this potential is not without controversy and this session will consider the key implications for consumer privacy. The need for a robust identity and access management (IAM) solution has become an integral part of any organization’s IT structure. A well implemented solution has the power to enable proactive risk-identification, prevent both internal and external security breaches and streamline employee productivity. While the benefits of IAM are clear, the cost and complexity of implementation can derail even the most well-intentioned organizations. This session will dive into the challenges of deploying IAM at scale, across government and commercial markets. 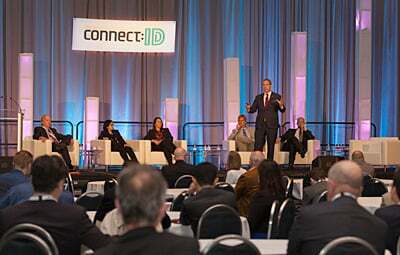 Throughout the conference, we have seen how new innovations are changing the face of identity. The closing session of connect:ID asks whether this change should always be welcomed and how can we leverage new technologies to establish “good” identity for a better future.